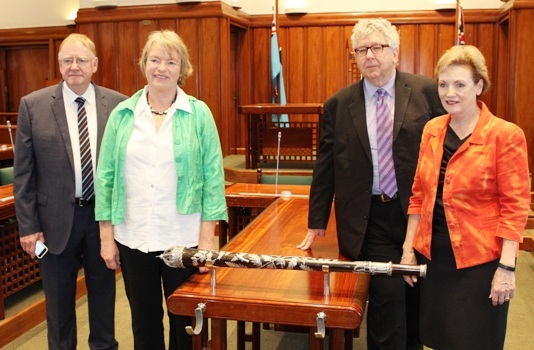 A four member parliamentary delegation from Australia is in the country as part of an exchange programme with the Fijian parliament. The delegation led by Senator Ian MacDonald met Speaker Dr Jiko Luveni, Opposition leader, Ro Teimumu Kepa and National Federation Party leader, Dr Biman Prasad. A statement says the delegation was keen to know how the Fijian Parliament was progressing. They were also informed that consultants from respective parliaments in Australia provided assistance to Committees and procedural advice through the Tables Office, Office of the Speaker and the Secretary General. The delegation also visited the Parliament Discovery Centre and Parliament Chambers.